Roll20CON will be a 24-hour online event complete with panels, demonstrations and, of course, tabletop RPGs. As generations of gamers can attest, there's nothing quite like a good tabletop RPG. Sadly, many of the gamers who love RPGs also have a hard time finding people to play them with. In recent years, online gaming platforms like Roll20 have stepped in to make this easier. Now, in a new announcement, the company has revealed plans that will take its goal of internet-based easy access gaming to even grander heights. According to Roll20, the site, later this year, will be hosting its first "online-only tabletop gaming convention." Dubbed Roll20CON, the event will run for 24-hours beginning on June 3, 2016 and ending at 11:59 (PT) that night. During Roll20CON, gamers will be able to access "an organized schedule of tabletop games" along with a selection of "panels and demonstrations." These events will all be streamed via Twitch. Attendees will likewise be encouraged to play their own games and try out "subscription features" normally reserved for Plus-level members of the site. Assisting Roll20 in its efforts will be the anti-bullying group Cybersmile. During the event Roll20 will work with attendees and sponsors to raise money for Cybersmile. Speaking to The Escapist, Roll20 co-creator Nolan T. Jones revealed that, while the idea for an online convention has been on the company's mind as early as 2013, the inspiration to go forward with it came from last year's GenCon. "We were on GenCon's gaming floor and somebody observed there were about 10,000 people playing at that moment. One of the Roll20 crew opened their phone and realized, 'We have more than that online right now!'" Seeing the potential behind those numbers to do something special, Roll20 hired two new staff members to help "push the envelope" and build the foundation for "an exciting experience." 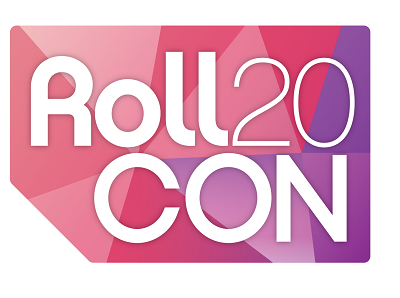 Speaking personally, Roll20CON is something I can very much get behind. I love RPGs and I've had some good experiences visiting conventions. Like many gamers however, the rigors of family, work and life can make it hard to enjoy the hobby and its community as much I'd like to. If Roll20CON, like Roll20 itself, can become a tool for people to share their love of gaming when they otherwise wouldn't be able to, then more power to the people behind it.